And a special mention for Birthday Boy! 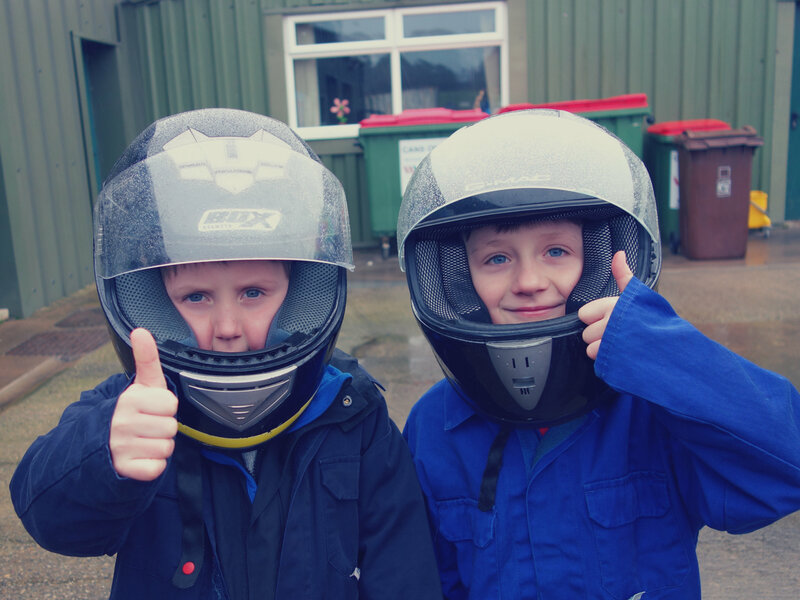 Owen | I told you to smile for this photo…but I think your cheeks squishing into the helmet made it impossible! Hehe! They look so funny in the enormous helmets. Go-karting sounds like perfect birthday fun too. 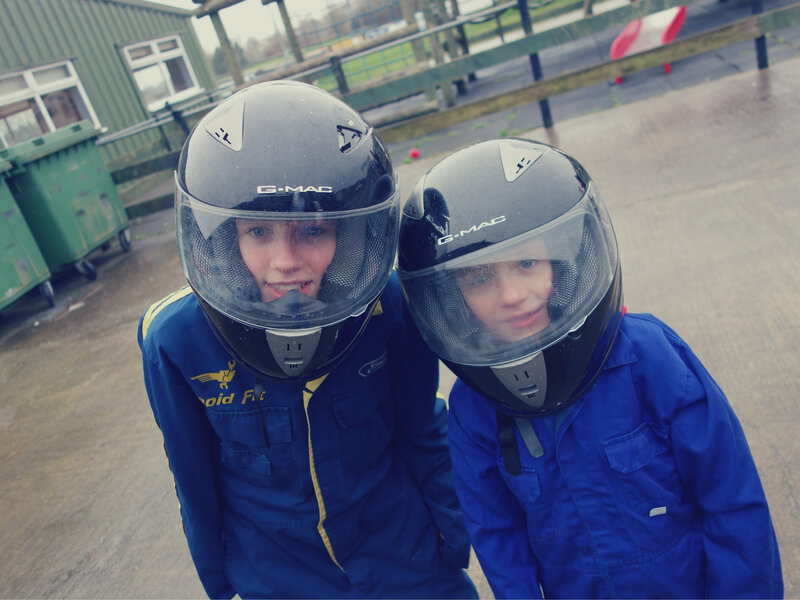 LOL they look fab in those helmets, squished cheeks and all!